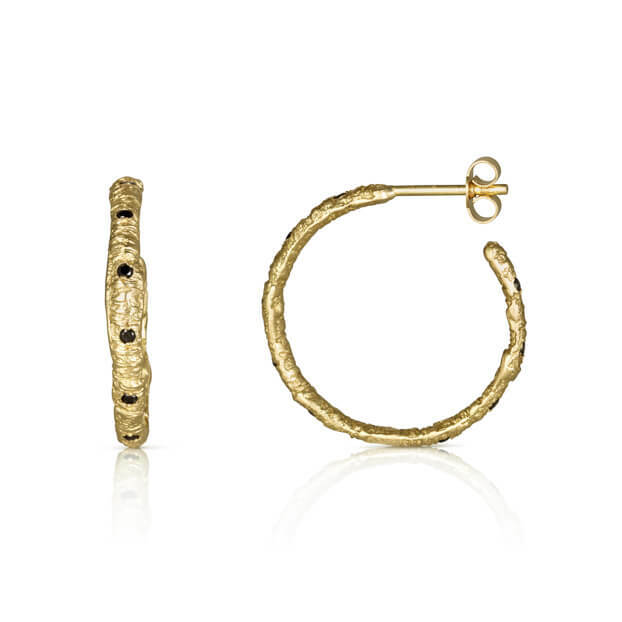 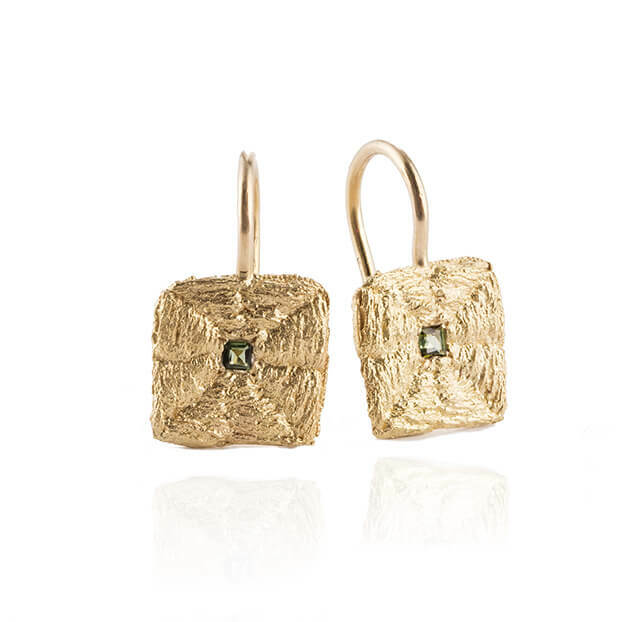 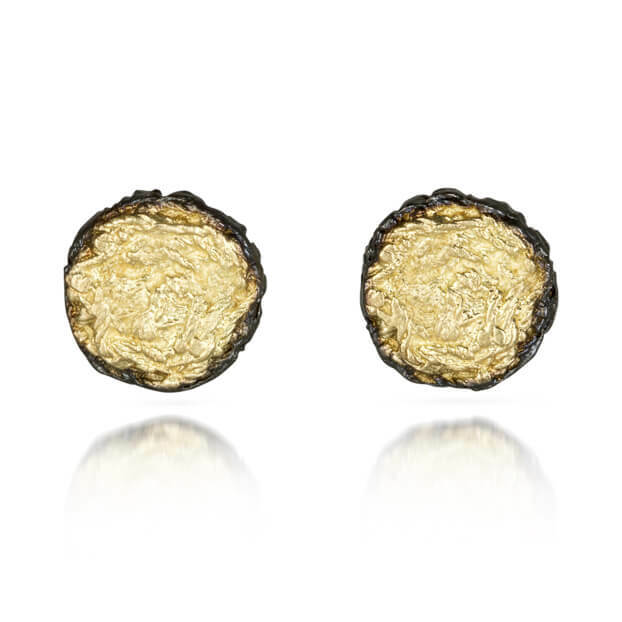 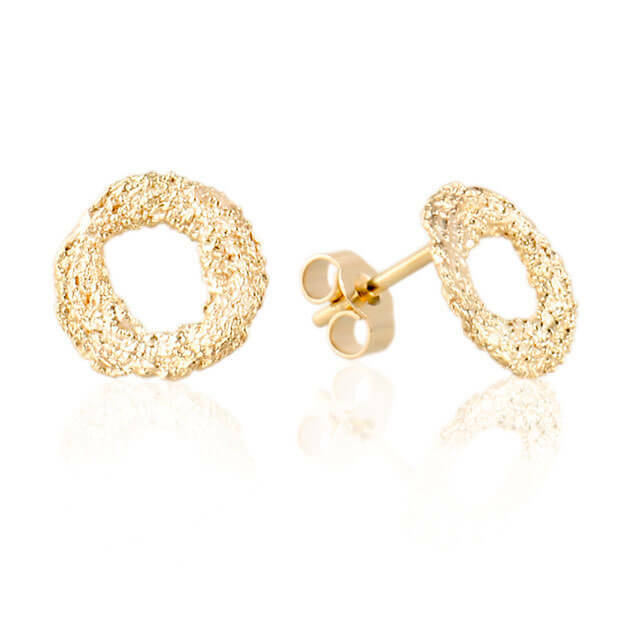 Inspired in design by sewing pins, these studs are for everyday wear. 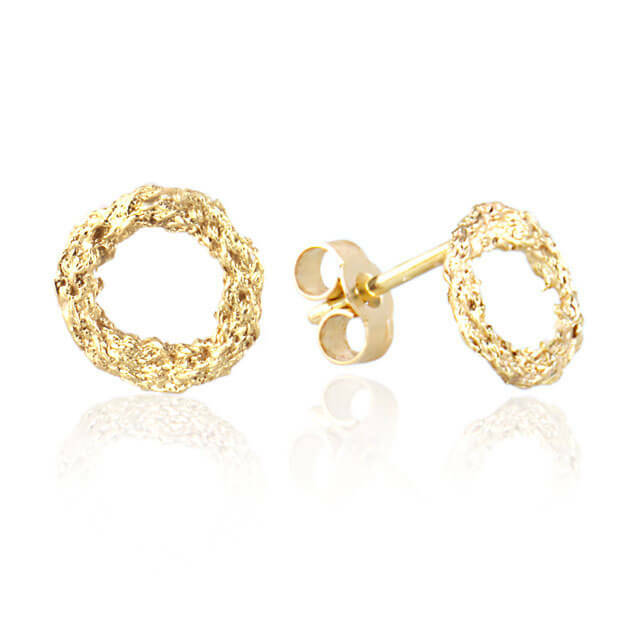 The intricate and delicate detail of the gold work is from hand sewing with cotton thread, which is then translated into solid 18kt yellow gold. 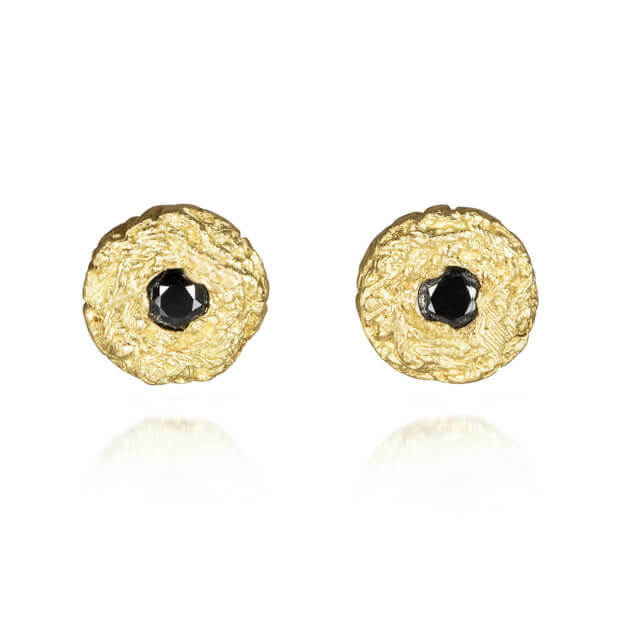 Black diamonds have then been added, creating a precious simplicty. 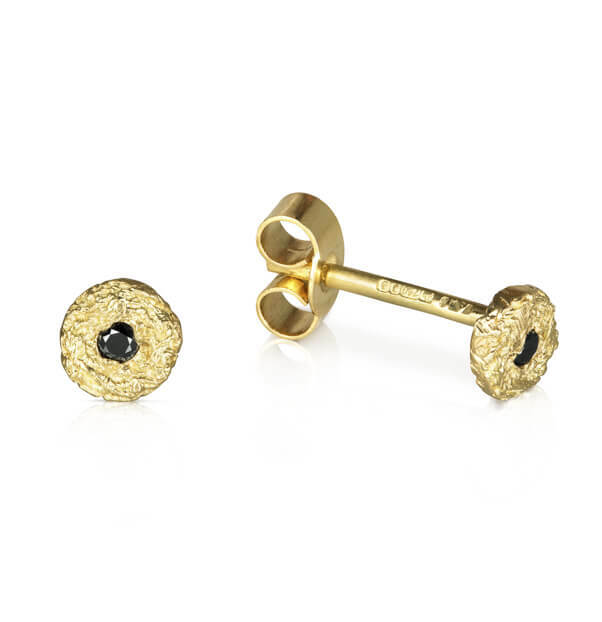 If there is a particular gemstone that you would like or this item is out of stock and you would like to specially commission it, then please email us at contact@alexandrajacoumis.com. 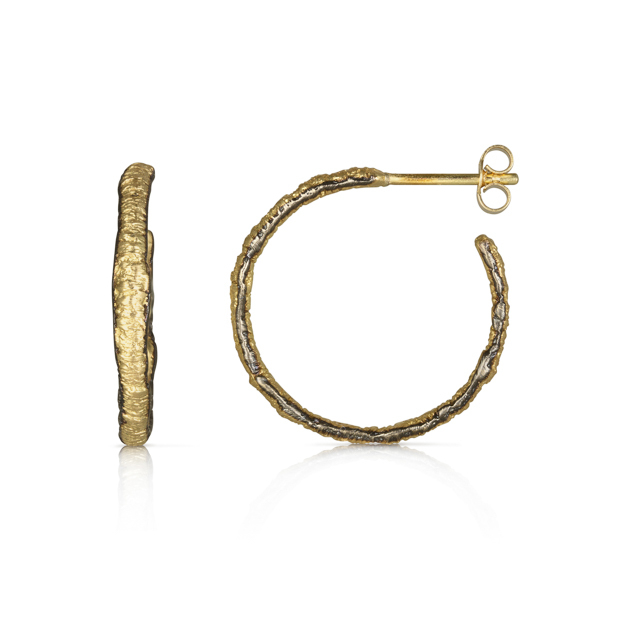 Please note that all our jewellery is handmade in our Athens workshop, so kindly allow up to 21 days for your piece to be lovingly completed.